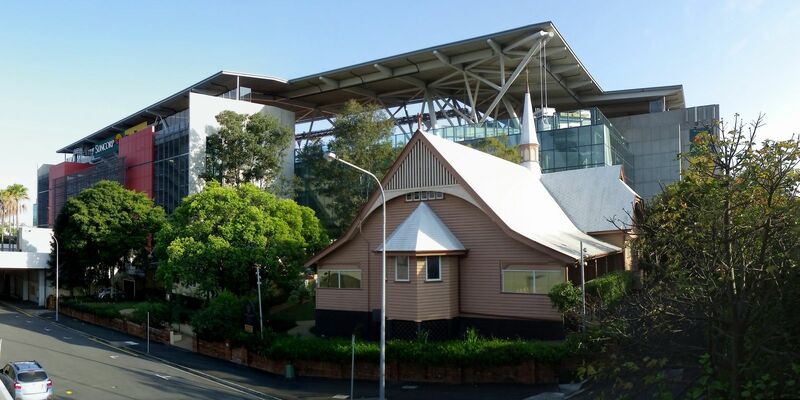 Back in the 19th Century the site was Brisbane’s largest… cemetery. 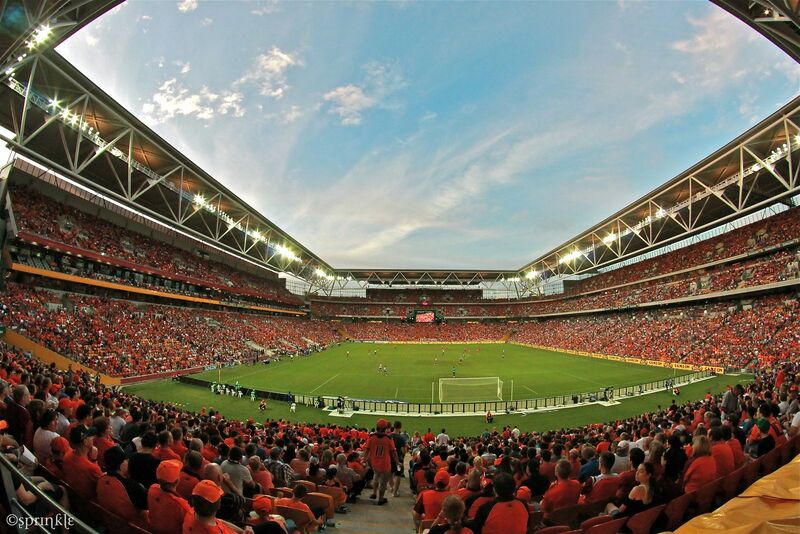 In 1914 it was fenced and transformed into a recreational site, used for sports since 1920. 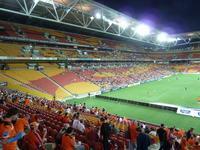 First were amateur athletes, but then came professional clubs – football in 1935 and rugby in 1953. 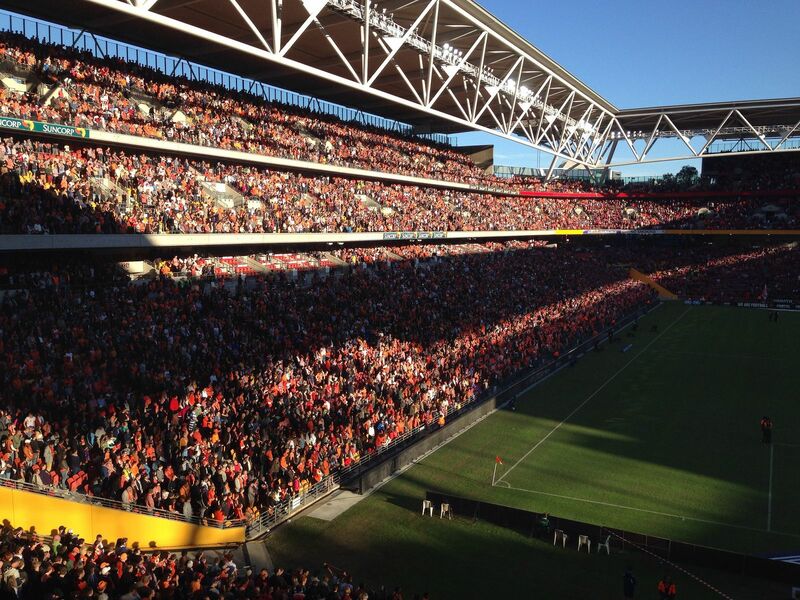 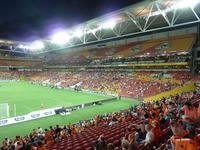 The latter still stands as the dominant sport discipline at Lang Park today, filling stands regularly. 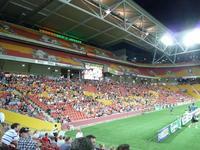 And the stands were changing quite a lot over the years. 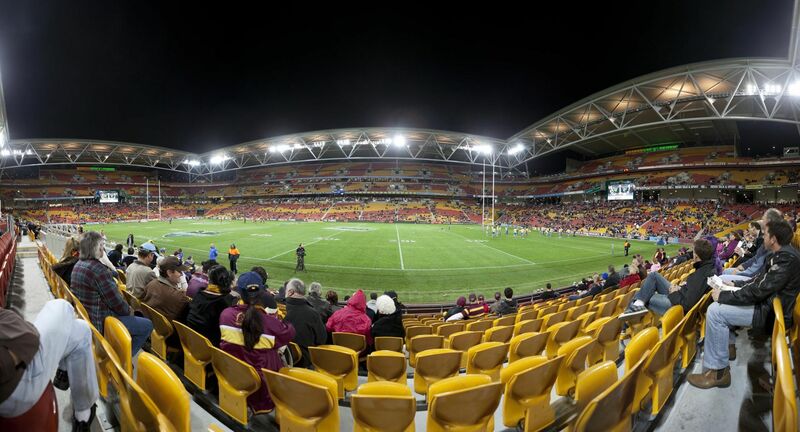 Since 1953 new grandstands were erected three times, in 1962, 1975 and 1994 – one at a time. 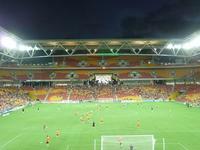 After the last revamp its capacity stood at just over 40,000 people. 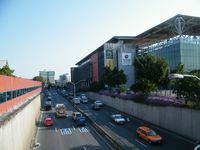 At the end of 1990’s decision was made to redevelop the place completely and build a new venue. 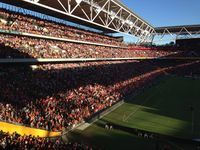 Last game was played in mid-2011 and after two years news stands for over 52,000 people were ready. 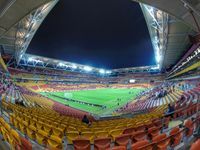 Divided into three tiers of fully covered seating this stadium is among the largest in Australia, owing its shape to architects of world-famous Populous office (then HOK Sport). 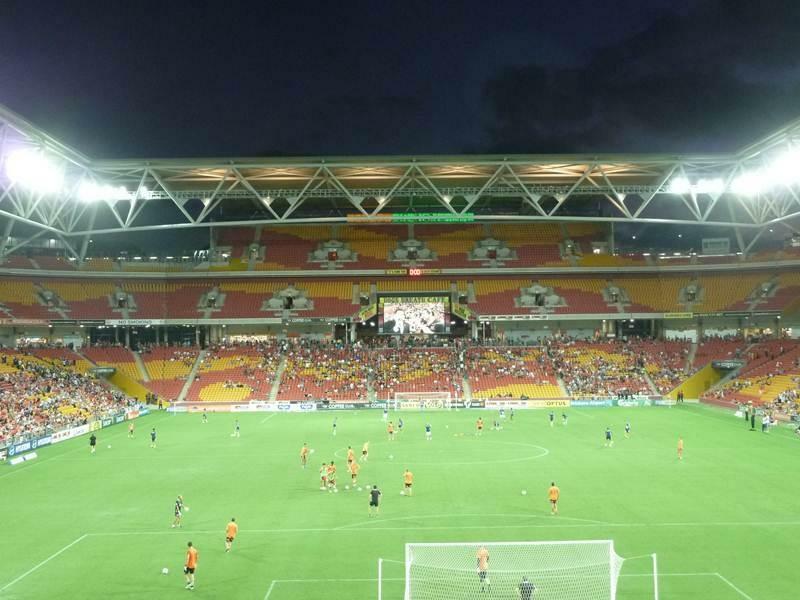 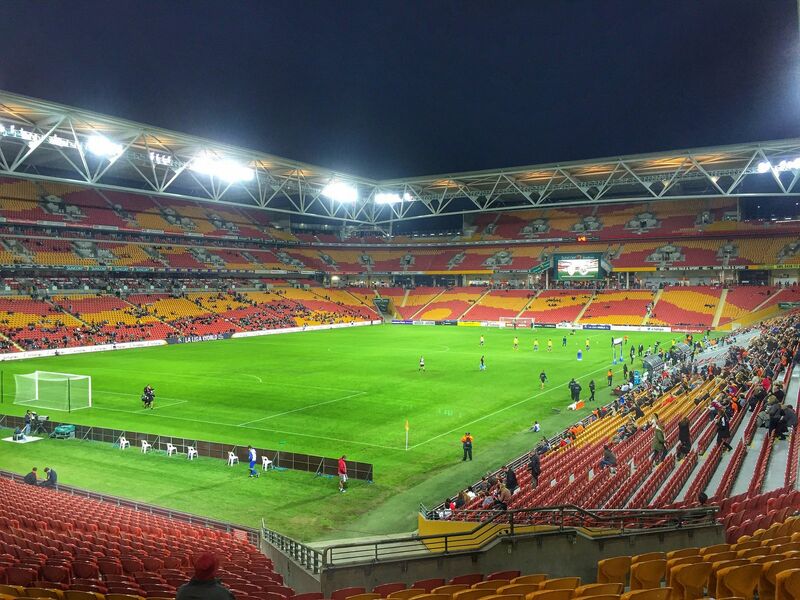 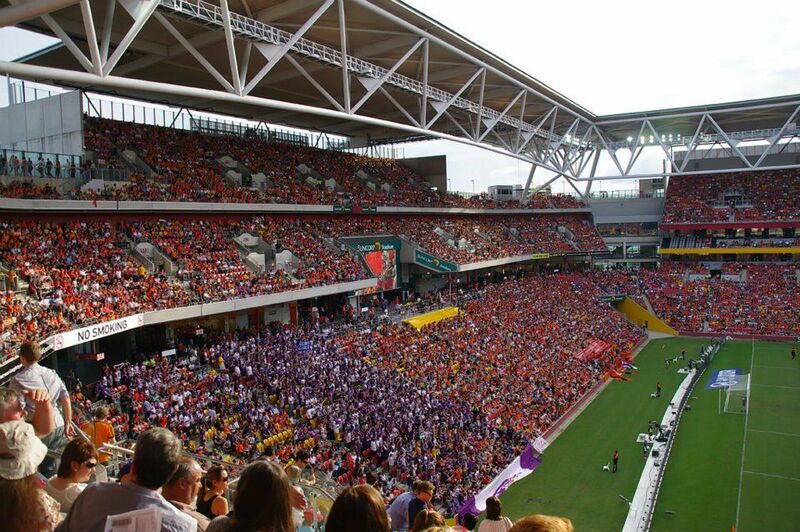 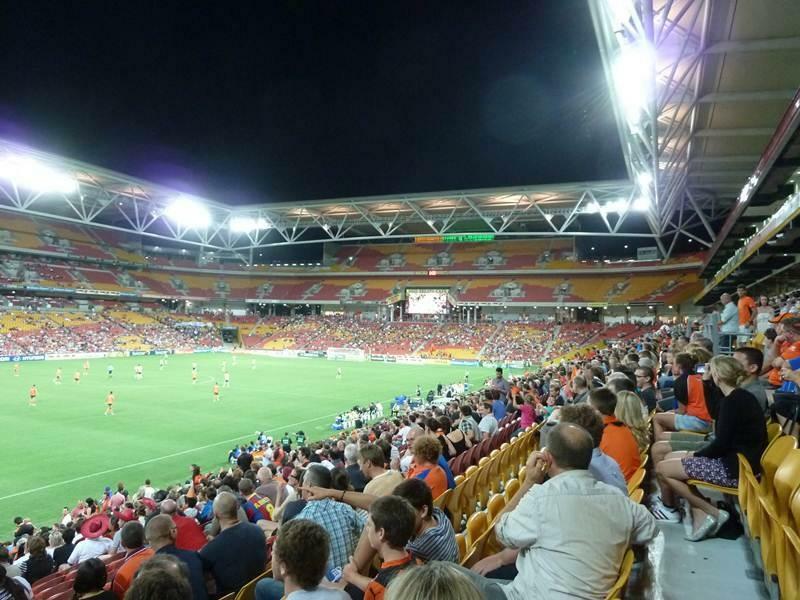 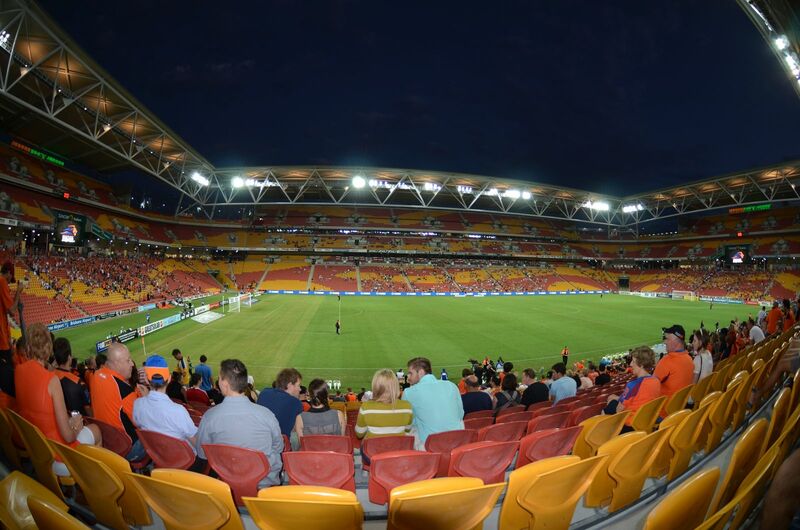 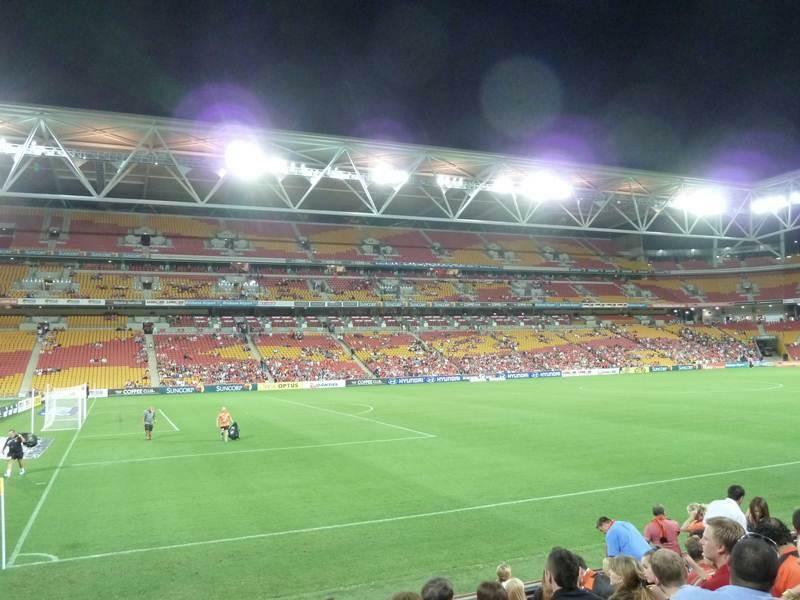 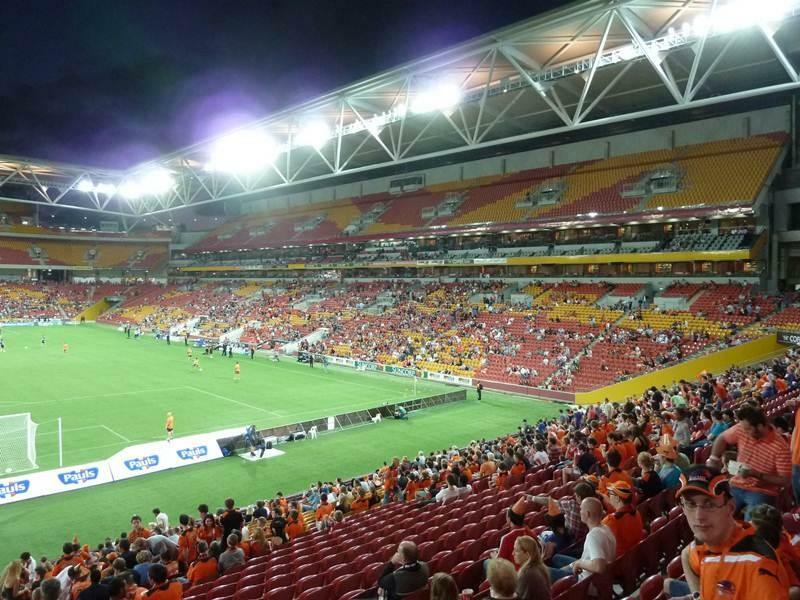 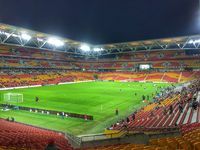 The stadium, for sponsorship reasons called Suncorp Stadium, has four anchor tenants, three rugby clubs and one football side, Brisbane Roar. 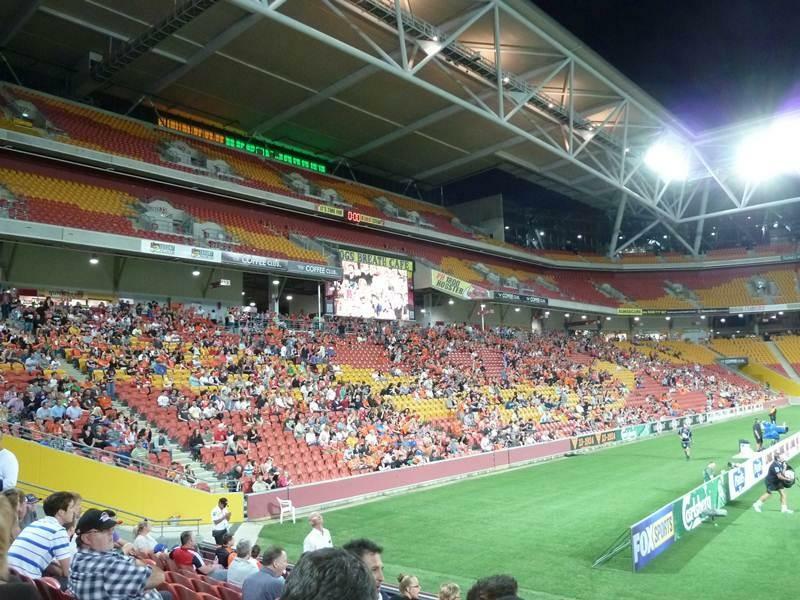 The latter is also the least popular, forcing organizers to open only bottom tier of seating for games. 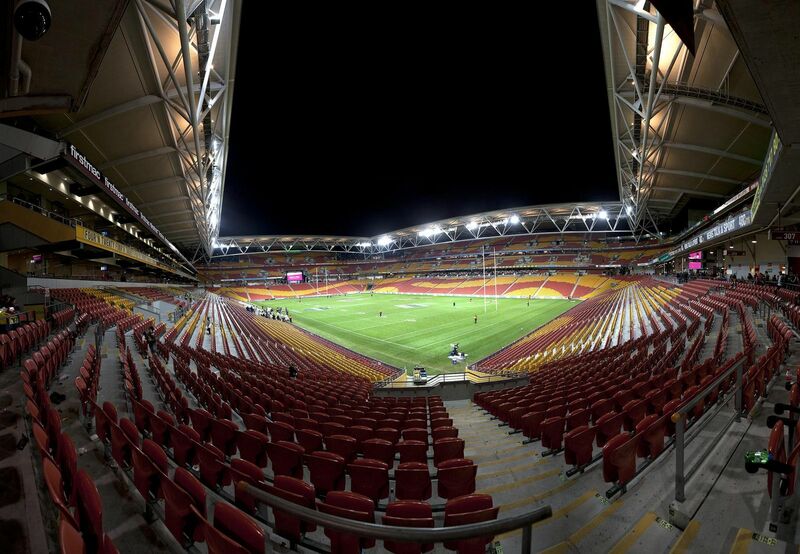 In 1993 Youth World Cup came to town and in 2003 the Rugby World Cup was played here as well. 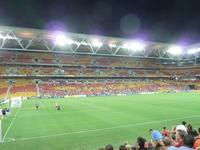 Lang Park also hosted Rugby League World Cup four times, in 1968, 1975, 1977 and 2008. 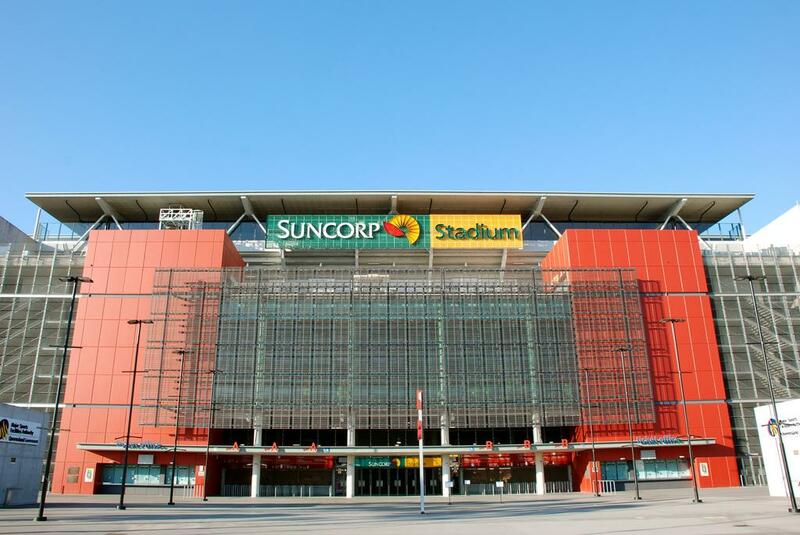 Major concerts also take place here with stars like U2 or Robbie Williams performing.